Part cookbook, part memoir, Smoke and Pickles: Recipes and Stories from a New Southern Kitchen ($20) is a must read for any fan of Southern food. 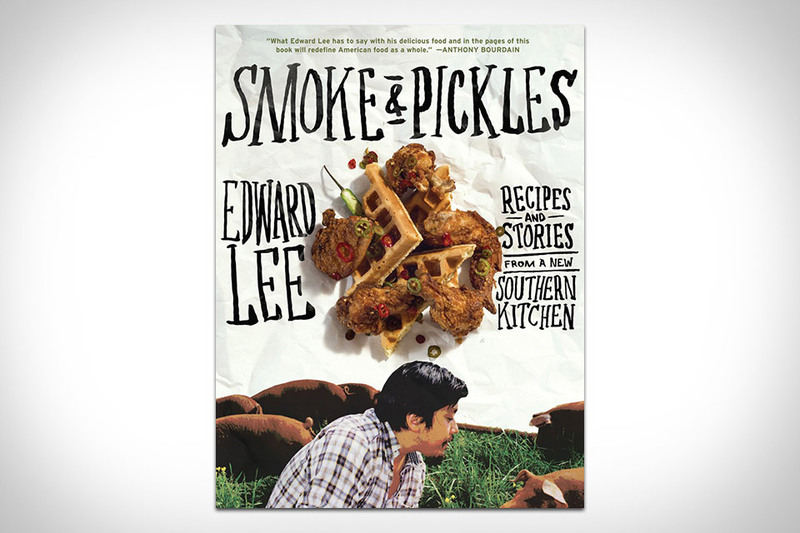 Penned by award-winning chef Edward Lee, the book chronicles his story from Brooklyn to Louisville, Kentucky, while offering up over 130 recipes that blend Southern comfort food with Korean traditions. Highlights include ramen-crusted, chicken-fried pork steak, collards and kimchi, and even Tobacco cookies, but all of them are approachable, letting you test out Lee's inventive methods yourself. Given that over 5,000 ascents to the summit have been made by over 3,000 people, it might not seem like a big deal — but when Hillary and Norgay made their way to the Top of the World 60 years ago, it was indeed a BFD. The Conquest of Everest: Original Photographs from the Legendary First Ascent ($27) takes you inside this legendary event through photographs and other materials climber and photographer George Lowe, who was with Hillary and Norgay on that first expedition. In addition to the 167 photos and illustrations, the book also features contributions from Reinhold Messner, Sir Chris Bonington, Peter Hillary, Doug Scott, Stephen Venables, and Norbu Tenzing Norgay and the late Sir Edmund Hillary themselves. Great for history buffs, climbing enthusiasts, or for making you wonder if you'll ever do anything noteworthy in your lifetime. If you don't like to listen to your music loud, then this book isn't for you. Crank the Slayer up to 11 and pick up a copy of Louder Than Hell: The Definitive Oral History of Metal ($21). This book covers the spectrum of metal's loudest and wildest with interviews of over 250 bands ranging from Black Sabbath and Iron Maiden to Metallica and Megadeth. Also hear from family, industry execs, and journalists — and from the people who knew them best (groupies, drug dealers). Nearly 50 pages of full-color photography bring to life the world of Nu Metal, Industrial Metal, Thrash Metal, Death Metal, Metalcore, and more. Warn the neighbors, because it's gonna get loud. Most of us at this point have tried several craft beers, and many of us liked them enough to switch almost exclusively away from the Bud Lights of the world. But few know the real history behind their rise to prominence. The Audacity of Hops ($14) chronicles that story from the 1960s through to today, based on interviews with the most influential folks in craft brewing, tons of research, and, we'll go ahead and assume, a healthy amount of beer drinking. Filled with amusing anecdotes and sometimes surprising facts, it's a must-read for any beer lover. No matter how many bottles you've put away in your lifetime, it's unlikely you know all there is to know about whiskey. Drink More Whiskey: Everything You Need to Know About Your New Favorite Drink ($15) is here to teach you. Weighing in at just over 175 pages, this introduction to the whiskey renaissance covers both classic offerings and varieties from new distilleries, discussing the background, style, and quality of each, with over 20 drink recipes spread throughout that likewise run the gamut from classic to modern. Be sure to read that carefully. The Hot Sauce Cookbook: Turn Up the Heat with 60+ Pepper Sauce Recipes ($13) isn't a book filled with ways to enhance your sandwiches and salads with Sriracha and spice. 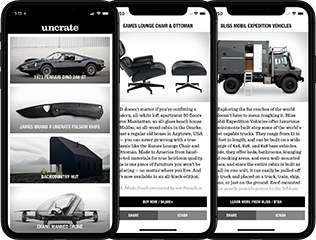 Instead, it offers up a number of recipes for making your own sauces and salsas, including sauces with flavors from around the world, homemade versions of classics like Frank's RedHot, Texas Pete, and even the aforementioned rooster sauce. Don't be too dejected about the sauce-heavy focus — the book also contains over fifty recipes for actual food dishes that are anything but bland. Not every recipe in the book is made with beer, but they all taste great when paired with beer — and isn't that the important part? The American Craft Beer Cookbook: 155 Recipes from Your Favorite Brewpubs and Breweries ($13) offers up instructions on how to cook everything from appetizers to desserts, including some stuff you'd expect — like pub-friendly foods and barbecue — to some you wouldn't — like cupcakes and ice cream floats. But hey, it's all beer-friendly, so it's all good.